This website is Copyright © 2011-2019 Pix4D SA and its affiliates. All rights reserved. We thank you for visiting our Internet website www.pix4d.com (the "Website"), powered by Pix4D SA, EPFL Innovation Park, PSE-F, CH-1015 Lausanne ("Pix4D"). Pix4D makes information, products, and services available on the Website, subject to the following terms and conditions for accessing, visiting and/or otherwise using any and all web pages and related services and materials (the "Terms"). "You" or "Your" means you personally (i.e. the individual who reads and agrees to be bound by the Terms) and, if you access the Website on behalf of a corporation or other legal entity, collectively, you and such corporation or other legal entity on whose behalf you access the Website. Your use of the Website is subject to those additional terms and conditions provided by Pix4D and, subject to Pix4D's sole discretion, applicable to certain information, products, and services offerings available through the Website. Such additional terms and conditions include, but are not limited to, license agreements, supplementary user agreements, and Pix4D's privacy and personal data policy. Those additional terms are hereby incorporated by reference into the Terms (if there is any conflict between those additional terms and the Terms, the additional terms shall prevail with respect to the subject matter of such additional terms). Pix4D reserves the right to modify or revise the Terms at any time and without notice. Your continue use of the Website after such changes will indicate Your acceptance of such changes. Please remember to regularly consult this page in order to take note of any changes or amendments that may have been made to the Terms. The version published on the Website at the relevant time applies between You and Pix4D. Pix4D reserves the right to interrupt at all times the supply of the Website or to modify it, to any extent, without notice and without stating reasons. Pix4D further reserves the right to seek all remedies available by law and in equity, as the case may be, for any violation of the Terms. Any rights not expressly granted herein are reserved by Pix4D. If You are using this Website on behalf of a corporation or other legal entity, You represent that You are authorized to accept the Terms on behalf of such corporation or other legal entity. Further, You acknowledge that You are 13 years of age or older, and, if under the age of 18, are using the Website under the active supervision of a parent, legal guardian, or other responsible adult. Individuals who are under the age of majority in their jurisdiction are not allowed to use the Website or transmit or otherwise submit personally identifiable information to Pix4D. The following terms and conditions apply specifically to any corporation or other legal entity that is subject to the Terms: You agree to require each of Your employees to be bound by the terms and conditions of these Terms and You agree to remain responsible and liable for all acts and omissions of Your employees in connection with the Website, including any breaches of the Terms. All references to Your access and/or use of the Website herein include access and/or use of the Website by Your employees. You agree that each of Your employees is responsible for maintaining the confidentiality of any password that such employee may use to access the Website, and You agree not to let any employee transfer a password or user name, or lend or otherwise transfer use of or access to the Website, to other employees or any third party. If an employee leaves Your employ, or if You wish to disable an employee’s access to the Website, You are responsible for any such changes. You are fully responsible for all interaction with the Website that occurs in connection with passwords or user names associated with Your employees (including any former employees). The Website is controlled and operated by Pix4D from Switzerland, and, except as expressly set forth herein, is not intended to subject Pix4D to the laws or jurisdiction of any state, country or territory other than that of Switzerland. Pix4D does not represent or warrant that the Website or any part thereof is appropriate or available for use in any particular jurisdiction other than Switzerland. In choosing to access the Website, You do so on Your own initiative and at Your own risk, and are responsible for complying with all local laws, rules and regulations. You are also subject to export control regulations and are responsible for any violations of such controls, including any embargoes or other regulations restricting exports. Pix4D may limit the Website's availability, in whole or in part, to any person, geographic area or jurisdiction Pix4D chooses, at any time and in Pix4D's sole discretion. In principle You are free to visit parts of the Website without being obliged to provide any of Your personal data. 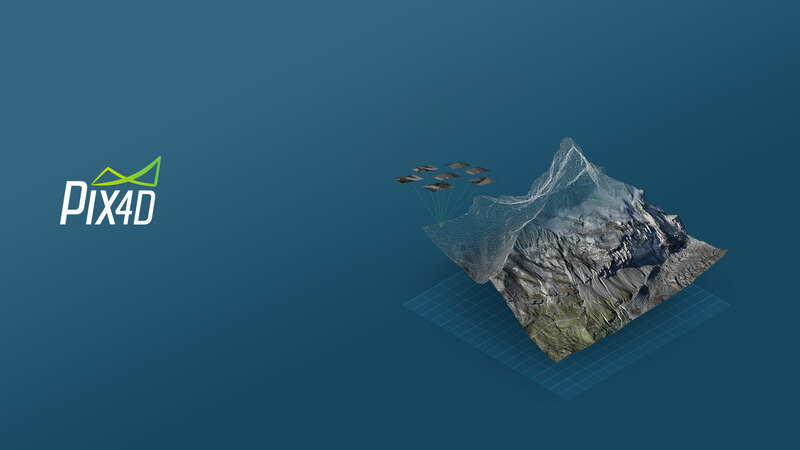 Concerning Your data collection, storage and processing, subject to the provisions of foreign law (including the EU General Data Protection Regulation and related data protection laws of the EU) that might be directly applicable to Pix4D in Switzerland, Pix4D is subject to Swiss legal standards on data protection, which are recognized by European authorities as guaranteeing an adequate level of data protection. You represent and warrant that any information that You provide in connection with Your use of the Website is and shall remain true, accurate, and complete, and that you will maintain and update such information regularly. You agree that if any information that You provide is or become false, inaccurate, obsolete or incomplete, Pix4D may terminate Your use of the Website. To know more, please consult Pix4D's privacy and personal data policy, which is an integral part of the Terms (the "Policy"). You acknowledge that You have read and understood the Policy. You may be required to register with Pix4D and obtain an account in order to access certain areas of the Website. With respect to any such registration, Pix4D may refuse to grant You, and You may not use, a user name (or e-mail address) that is already being used by someone else; that may be construed as impersonating another person; that belongs to another person; that violates the intellectual property or other rights of any person; that is offensive; or that Pix4D rejects for any other reason in Pix4D's sole discretion. You are responsible for maintaining the confidentiality of any password You may use to access the Website, and agree not to transfer Your password or user name, or lend or otherwise transfer Your use of or access to the Website, to any third party. You are fully responsible for all interaction with the Website that occurs in connection with Your password or user name. You agree to notify Pix4D immediately of any unauthorized use of Your password or user name or any other breach of security related to Your account or the Website, and to ensure that You “log off”/exit from Your account with the Website (if applicable) at the end of each session. Pix4D is not liable for any loss or damage arising from Your failure to comply with any of the foregoing obligations. Further terms and conditions regarding the registration and Your account are set forth in the Customary General Terms and Conditions. "Community" means a section of the Website dedicated to discussion group, chat area, bulletin board, news group, wiki/help and/or support area, feedback, letter to Pix4D, its webmaster or employees, or other interactive functionality offered as part of the Website. Information published on the Community may be provided by Pix4D and by third party users of the Website. Please note that Website users may post messages or make statements in the Community that are inaccurate, misleading or deceptive. Pix4D, its affiliates and their respective employees, officers, directors, shareholders, affiliates, agents, representatives, suppliers or licensees neither endorse nor are responsible for any opinion, advice, information or statements made on the Community by third parties. Without limitation, Pix4D and/or its respective subsidiaries, affiliates, suppliers and licensors and its and their directors, officers, employees, agents and representatives are not responsible for any information or materials made available through the Community (including without limitation errors or omissions in the Community postings or links or images embedded in the Community messages) or results obtained by using any such information or materials. Under no circumstances will Pix4D and/or its respective subsidiaries, affiliates, suppliers and licensors and its and their directors, officers, employees, agents and representatives, be liable for any loss or damage caused by Your reliance on such information or materials. The opinions expressed in the Community reflect solely the opinions of the individuals who submitted such opinions, and may not reflect the opinions of Pix4D and/or its respective subsidiaries, affiliates, suppliers and licensors and its and their directors, officers, employees, agents and representatives. In addition, Pix4D and/or its respective subsidiaries, affiliates, suppliers and licensors and its and their directors, officers, employees, agents and representatives have no control over, and shall have no liability for, any damages resulting from, the use (including without limitation republication) or misuse by any third party of information voluntarily made public through the Community, related forums or any other part of the Website. IF YOU CHOOSE TO MAKE ANY OF YOUR PERSONALLY IDENTIFIABLE OR OTHER INFORMATION PUBLICLY AVAILABLE IN THE COMMUNITY, RELATED FORUMS OR OTHERWISE ON THE WEBSITE, YOU DO SO AT YOUR OWN RISK. Any software that is made available to download by or through this Website (a "Software") is the copyrighted work of Pix4D, its suppliers and/or its licensors. Use of the Software may be governed by the terms of customers' general terms and conditions, Pix4D end-user license agreement, free/open source software licenses as applicable, or other agreement applicable to the Software (each, a “License Agreement”). You may not install any Software that is accompanied by or includes a License Agreement unless You have agreed to the applicable License Agreement terms. The Software is made available for downloading solely for use by end users in accordance with the License Agreement and/or the Terms. Except to the extent expressly permitted in any applicable License Agreement, or expressly authorized under applicable law overriding any of the following restrictions, You agree that You will not sell, lease, lend, convey, transmit, modify, adapt, translate, prepare derivative works from, decompile, reverse engineer, disassemble or attempt to derive source code from the Software. Any reproduction, redistribution or other use or exploitation of the Software not in accordance with the License Agreement and/or the Terms is expressly prohibited by law, and may result in civil and criminal penalties. Violators will be prosecuted to the maximum extent permitted under law and equity, as the case may be. Any Software and documentation for such Software that are downloaded from the Website for or on behalf of an agency or instrumentality of the United States Government are “commercial computer software" and “commercial computer software documentation", and pursuant to FAR 12.212 or DFARS 227.7202, and their successors, as applicable, use, reproduction and disclosure of the Software and such documentation are governed by the terms and conditions set forth in the Terms. The Website contains content owned, operated, licensed, and/or controlled by Pix4D. The information and materials made available through the Website, including the Software, are and shall remain the property of Pix4D, its subsidiaries, affiliates, licensors and/or suppliers, and are protected by copyright, trademark, patent, and/or other proprietary rights and laws that is protected by copyright, trademark, trade secret, or other proprietary rights. Pix4D grants you a limited, revocable, non-sublicensable right to view the content of the Website solely for Your internal use of the Website. You may not use, download, upload, copy, print, display, perform, reproduce, publish, license, post, transmit, rent, lease, modify, loan, sell, distribute, or create derivative works based (whether in whole or in part) on, the Website or any information from the Website, in whole or in part, without the express prior written authorization of Pix4D. Elements of the Website are protected by copyright, trade dress, trademark, unfair competition, and/or other laws and may not be copied or imitated in whole or in part. No logo, graphic, sound, or image from the Website may be copied or retransmitted unless expressly permitted in writing by Pix4D. Nothing contained on the Website should be construed as granting, by implication, estoppel or otherwise, any license or right to use any of Pix4D’s or its affiliates’ or suppliers’ trade names, trademarks or service marks without Pix4D’s express prior written consent. The Website might allow You to upload or otherwise provide to the Website text, files, images, photos, video, sounds, software, works of authorship, or other materials (collectively, the "User Content"), aimed at other users of the Website and to store, publish or share such content. Notwithstanding the foregoing, Pix4D may, in its sole discretion, (i) reject or remove anything You post, (ii) restrict, suspend, or terminate Your access to any or all of the Website, or (iii) cease to provide and maintain the Website, at any time, for any or no reason, with or without prior notice, and without liability. Upon doing so, we may retain or delete any information or content that You provided. You are the owner of Your User Content. Pix4D does not claim any ownership rights in any. However, by submitting Your content, You grant to Pix4D a worldwide, royalty-free, sublicensable, perpetual, irrevocable license to use, modify, publicly perform, publicly display, reproduce, and distribute Your User Content for the limited purpose of providing, promoting, developing the Website and all related services. Furthermore, if You decide to share Your User Content via the Website, You grant other users of the Website a non-exclusive license allowing them to access such shared User Content. We strive to provide a positive and fun experience for each user. With that in mind, Pix4D has the right, in its sole discretion, to review the User Content You submit and remove anything inappropriate, offensive, not pertaining directly to Pix4D or its related services, or otherwise objectionable or not in compliance with the Terms. You guarantee that (i) You have all the rights and authorization to grant the licenses to Pix4D or other users as mentioned above and that (ii) the content You submit doesn’t violate any norm, contractual obligation or third party right, especially concerning intellectual property rights and copyrights. We do not guarantee the confidentiality of the content submitted by users, nor do we pre-approve such content before it is shared through the Website. We may therefore shoulder no liability for the various opinions it might contain. By submitting its content, each user accepts that he/she/it shall be solely responsible for it. If You believe that Your copyright or other rights have been infringed, please provide Pix4D written notice of the purported infringement with all necessary information to legal@pix4d.com. The Website might contain links which would take You outside of Pix4D's networks and systems, especially towards partners’ websites. Pix4D accepts no responsibility concerning the content, the accuracy or the functioning of these third-party websites. Pix4D cannot be held liable for the content of the websites towards which a link is proposed. The inclusion of a link to other websites does not imply Pix4D's approval. We recommend You to carefully review the privacy and data protection policies as well as the general terms and conditions of each website You visit and of each online service You use. When You communicate with Pix4D by email, You should take into account that the protection of emails and messages transmitted through the Internet is not guaranteed. Consequently, while sending by emails important or confidential messages, not encoded, You accept the risks linked to this uncertainty and the possible lack of confidentiality over the Internet. The use of the Website is at Your own risk. The Website is offered « as it is » and « as it is available » Consequently, Pix4D does not offer any guarantee. We especially do not guarantee that (i) the Website and its related services will meet Your requirements; (ii) its content is exhaustive, accurate, precise, reliable, updated and does not transgress the right of third parties; (iii) Your access to the Website will be uninterrupted or error-free or virus-free, or that the Website will be available at all times; (iv) defects will be corrected; (v) the Website is secured; or that (vi) any advice or opinion received from us or through the Website is exact and reliable. The Website might as well contain information and documentation concerning products, services or concepts that are not yet available. The reference to a product, a service or a concept does not mean that it will be available one day. Any information accessible via the Website is subject to modification or deletion without notice. The Website allow users to share and exchange content with one another. In particular, commentary and other materials may be posted on the Website. You understand that Pix4D does not pre-approve user content before it is shared through the Website and is not in a position to guarantee that such content is complete, correct, harmless, or up to date. Any reliance You place on information shared through the Website is therefore strictly at Your own risk and any liability from Pix4D is therefore excluded. We use reasonable efforts to ensure that information accessible via the Website is accurate and complete. Should this not be the case, Pix4D shall nevertheless accept no liability. You acknowledge that any reliance upon such information shall be at Your sole risk. You acknowledge that it is Your obligation and responsibility to keep Yourself informed of any change or amendment that may have been made to the content of the Website and its related services. Any liability on the part of Pix4D in this respect is excluded. TO THE EXTENT PERMITTED BY LAW, ANY LIABILITY ON THE PART OF PIX4D, ITS REPRESENTATIVES, ITS PARTNERS OR ANY OF ITS AUXILIARIES THAT MIGHT RESULT FROM YOUR ACCESS TO – OR YOUR USE OF – THE WEBSITE, IS EXCLUDED. IN NO EVENT SHALL PIX4D AND/OR ITS RESPECTIVE SUBSIDIARIES, AFFILIATES, SUPPLIERS AND LICENSORS AND ITS AND THEIR DIRECTORS, OFFICERS, EMPLOYEES, AGENTS AND REPRESENTATIVES BE LIABLE FOR ANY SPECIAL, INDIRECT, EXEMPLARY, INCIDENTAL, CONSEQUENTIAL OR PUNITIVE DAMAGES OR ANY DAMAGES WHATSOEVER RESULTING FROM LOSS OF USE, DATA, OR PROFITS, LOSS OF OTHER INTANGIBLES, LOSS OF SECURITY OF INFORMATION YOU HAVE PROVIDED IN CONNECTION WITH YOUR USE OF THE WEBSITE, OR UNAUTHORIZED INTERCEPTION OF ANY SUCH INFORMATION BY THIRD PARTIES, WHETHER IN AN ACTION OF EQUITY, CONTRACT, NEGLIGENCE, OR OTHER TORTIOUS ACTION, ARISING OUT OF OR IN CONNECTION WITH THE USE OR PERFORMANCE OF THE WEBSITE, ANY PRODUCTS AND SERVICES AVAILABLE THROUGH THE WEBSITE, ANY SOFTWARE, INFORMATION, CONTENT, DOCUMENTS, RELATED GRAPHICS, PROVISION OF OR FAILURE TO PROVIDE SERVICES AVAILABLE FROM OR THROUGH THE WEBSITE, EVEN IF ADVISED IN ADVANCE OF SUCH DAMAGES OR LOSSES. IN PARTICULAR, AND WITHOUT LIMITATION, PIX4D AND/OR ITS RESPECTIVE SUBSIDIARIES, AFFILIATES, SUPPLIERS AND LICENSORS AND ITS AND THEIR DIRECTORS, OFFICERS, EMPLOYEES, AGENTS AND REPRESENTATIVES WILL NOT BE LIABLE FOR DAMAGES OF ANY KIND RESULTING FROM YOUR USE OF OR INABILITY TO USE THE WEBSITE OR FROM ANY SOFTWARE AND/OR OTHER CONTENT POSTED ON THE WEBSITE BY PIX4D OR ANY THIRD PARTY. YOUR SOLE AND EXCLUSIVE REMEDY FOR DISSATISFACTION WITH THE WEBSITE IS TO STOP USING THE WEBSITE. THE MAXIMUM LIABILITY OF PI4XD FOR ALL DAMAGES, LOSSES AND CAUSES OF ACTION, WHETHER IN CONTRACT, TORT (INCLUDING WITHOUT LIMITATION NEGLIGENCE) OR OTHERWISE, SHALL BE THE TOTAL AMOUNT, IF ANY, PAID BY YOU TO PIX4D TO ACCESS AND USE THE WEBSITE. THE WEBSITE, THE PRODUCTS AND SERVICES AVAILABLE THROUGH THE WEBSITE AND THE INFORMATION, CONTENT, SOFTWARE, DOCUMENTS, AND RELATED GRAPHICS PUBLISHED ON THE WEBSITE COULD INCLUDE TECHNICAL INACCURACIES, ERRORS, OR OMISSIONS. CHANGES MAY BE PERIODICALLY ADDED TO THE INFORMATION HEREIN. PIX4D AND/OR ITS RESPECTIVE SUBSIDIARIES, AFFILIATES, SUPPLIERS AND LICENSORS MAY, BUT ARE NOT OBLIGATED TO, MAKE IMPROVEMENTS AND/OR CHANGES IN THE WEBSITE, THE PRODUCTS AND SERVICES AVAILABLE THROUGH THE WEBSITE AND THE INFORMATION, SERVICE(S), SOFTWARE, PRODUCT(S), AND/OR THE PROGRAM(S) DESCRIBED HEREIN AT ANY TIME. AS A PREREQUISITE TO YOUR USE OF THE WEBSITE, YOU COMMIT YOURSELF TO INDEMNIFY PIX4D, ITS REPRESENTATIVES, ITS PARTNERS AND ITS AUXILIARIES, FROM ANY DAMAGE OR EXPENSE (INCLUDING LAWYERS’ FEES AND COURT COSTS) THAT MIGHT RESULT FROM YOUR ACCESS TO – OR YOUR USE OF – THE WEBSITE. NOTHING IN THIS SECTION SHALL LIMIT PIX4D'S LIABILITY TO YOU IN THE EVENT OF DEATH OR PERSONAL INJURY RESULTING FROM PIX4D'S PROVEN NEGLIGENCE, OR FRAUDULENT MISREPRESENTATION, OR CONCEALMENT, OR FOR ANY OTHER LIABILITY WHICH CANNOT BE EXCLUDED BY APPLICABLE LAWS. The Terms constitute the entire agreement between You and us concerning the access to – and the use of – the Website. Unlike Pix4D, You are not allowed to transfer to third parties the rights and obligations which are Yours according to the Terms. If any provision of the Terms is held by a court or other tribunal of competent jurisdiction to be invalid or unenforceable for any reason, it shall be replaced with a provision having legal and economic effects as similar as possible to the invalid provision. In any event, all other provisions of the Terms shall remain valid and enforceable to the fullest extent possible. You may not use or export or re-export any content of the Website or any copy or adaptation of such content, or any product or service offered on the Website, in violation of any applicable export laws or regulations. If You or others violate the Terms and we take no immediate action, this in no way limits or waives our rights, such as our right to take action in the future or in similar situations. The Terms are available in English language only. You agree that all matters relating to Your access to or use of the Website, including all disputes based on the Terms, will be governed by the substantive laws of Switzerland, without regard to its conflicts of laws provisions. The United Nations Convention on the International Sale of Goods is expressly excluded. You agree to the personal jurisdiction by and venue in in the ordinary courts of Lausanne, Switzerland, subject to an appeal to the Swiss Federal Court, and waive any objection to such jurisdiction or venue. The preceding provision regarding venue does not apply if You are a consumer based in the European Union. If You are a consumer based in the European Union, You may make a claim in the courts of the country where You reside. Any claim under the Terms must be brought within one (1) year after the cause of action arises, or such claim or cause of action is barred. No recovery may be sought or received for damages other than out-of-pocket expenses, except that the prevailing party will be entitled to costs and attorneys’ fees. In the event of any controversy or dispute between Pix4D and You arising out of or in connection with Your use of the Website and/or based on the Terms, the parties shall attempt, promptly and in good faith, to resolve any such dispute. If Pix4D and You are unable to resolve any such dispute within a reasonable time (not to exceed thirty (30) days), then either party may submit such controversy or dispute to mediation. If the dispute cannot be resolved through mediation, then the parties shall be free to pursue any right or remedy available to them under applicable law, as defined above. The Terms were last updated on 09/04/2019 and are effective immediately. Should You have questions or comments regarding the Terms or suggestions regarding their improvement, please contact us at sales@pix4d.com or by phone at +41 21 552 05 90. All rights on the Terms belong to their author. Any reproduction, without prior license, is strictly forbidden.